Freedom Pop is becoming pretty popular lately. With them basically giving out free cell phone service. 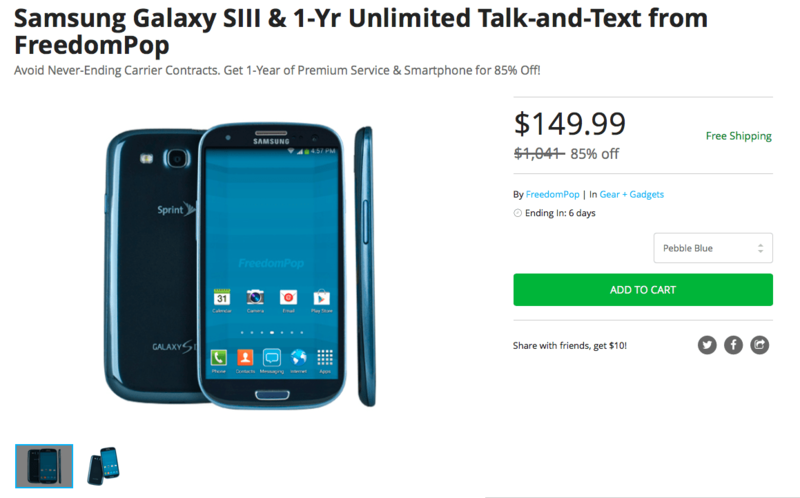 Well now you can pick up a Samsung Galaxy S3 along with a year of unlimited talk and text through Freedom Pop for just $149.99. Sure the Galaxy S3 is a few years old now, but it’s still a pretty decent device. And for $149, it’s one I wouldn’t pass up. You can pick up the Samsung Galaxy S3 along with a year of unlimited talk and text from Freedom Pop on the Android Headlines Deals Store. The post Grab a Galaxy S3 along with 1-year of Unlimited Talk and Text from Freedom Pop appeared first on AndroidHeadlines.com |.